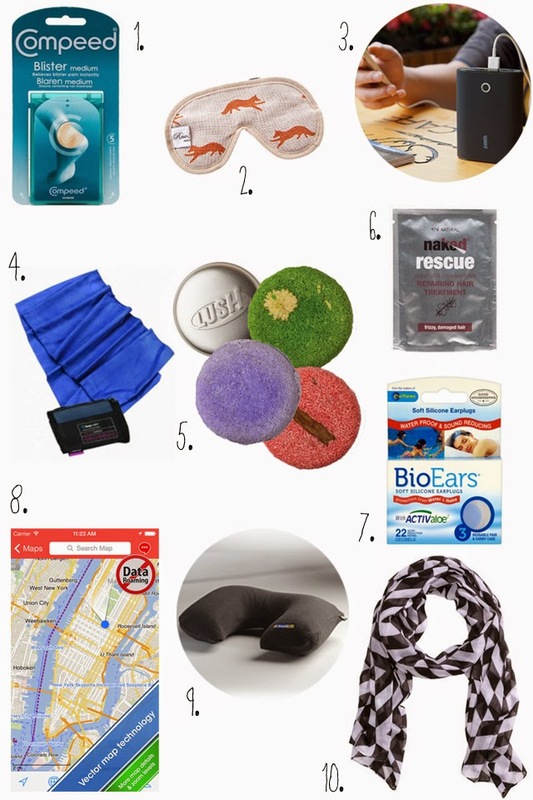 I thought I would share some of my travel/backpacking essentials with you. These items were all really useful whilst I was away and I would totally recommend them as basic essentials for any backpacking trip, or even just a normal holiday. 1. Compeed Blister Plasters are amazing. They stay put and actually actively help heal blisters. The smaller ones for your little toes are a must too, if like me your toes always rub. 2. An eye mask is probably an obvious choice, but it did really help when trying to get some much needed sleep between destinations. Also, really great if you are travelling anywhere overnight. You can get loads of different styles of masks, but I thought this fox print lavender mask is especially lovely. 3. A portable charger is a life saver if you are stuck somewhere without any plug sockets. We actually own the one linked and I have to say it is brilliant! You can get at least three full charges of our phones from it. Plus, you can plug loads of different devices into it. 4. Microfibre travel towels feel weird to dry yourself with, but they are so lightweight and great if you're backpacking and staying in hostels where towels aren't provided. I also used mine as an impromptu beach towel because they also dry really quickly. 5. Lush Shampoo Bars are lightweight, last ages and smell amazing. I used Jumping Juniper along with my boyfriend for three weeks and we have barely made a dent in it. There are lots of different ones for different hair types. 6. Naked Rescue Repairing Hair Treatment Sachets are great to bring when your hair needs a bit of TLC. Mine is dyed, so gets pretty straw-like when it's hot and if I've been in the sea, using some of this conditioning treatment makes it feel gorgeous and it smells so good. I have fine hair and get get two uses from each sachet. 7. Earplugs are always a must if you're a light sleeper like me. However, a lot of the time normal foam earplugs aren't quite quiet enough. I've found that silicone earplugs are brilliant at blocking noise out. 8. City Maps 2Go is an amazing app which is available on both Apple and Android. You can download maps before you go away and then use them without the need for roaming whilst you're away. You can even add pins of places you want to save to the maps and the basic app is free too! I used this all throughout my InterRail trip. Just be careful where you get your phone out! 9. An inflatable fleece travel pillow is great for long train or aeroplane journeys. I'd always pick an inflatable one, as they are lighter and easier to store away in your bag. Fleece is also a lot more comfortable and doesn't rub. 10. A lightweight scarf is so useful whilst travelling. I used mine not only as a scarf, but as a makeshift blanket whilst on trains and as a way to stop my backpack from rubbing my shoulders. Other recommendations I would make are a travel document holder, travel wallet and an anti-slash camera strap if you're bringing a DSLR.